Swimming against the tide, Bruce Scott made his way back home from working in western Canada to Sou’ West Nova Scotia when lobster prices rebounded several years ago. He hadn’t been back long when he made an observation that would set him on a new and a wildly successful venture. Nobody was offering a mobile repair service to all those hard working fishermen, now with larger boats that lengthened their fishing season. 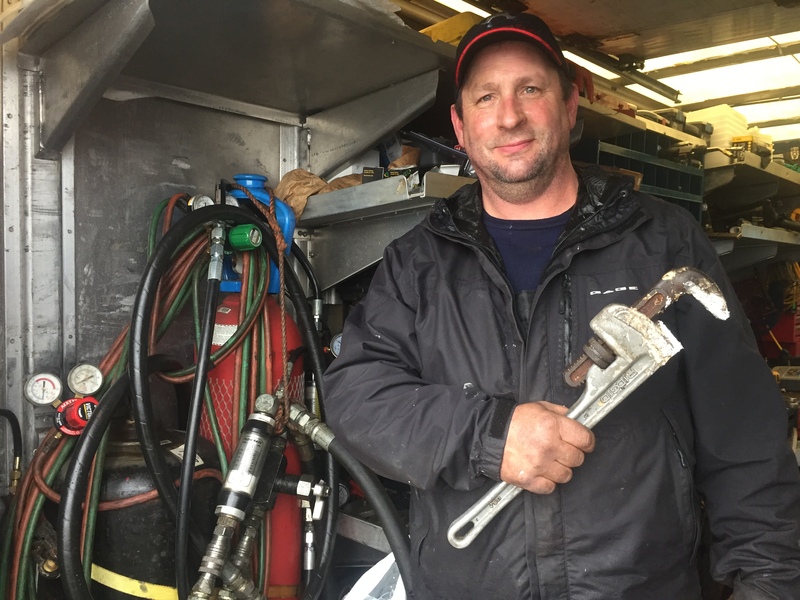 “Most of the boat shops now are so busy with the price of lobsters up again,” Scott explains, “they don’t have time to send out crews any more. The fishermen were in desperate need of having someone to come and do the work on their boat.” With the boat builders flat out and fishermen too busy to do their own repair work, Scott decided to start a business to supply the expertise and labour he saw was in significant demand. That’s where Shelburne CBDC comes in. Looking back, Scott says, “I probably could have done it in the long run to set everything up, but it would have been twenty times harder without her help.” He’s still in touch with Campbell at CBDC. “She’ll call and see how everything is going,” he says. In the summer, they get a chance to go to their woods camp most weekends.